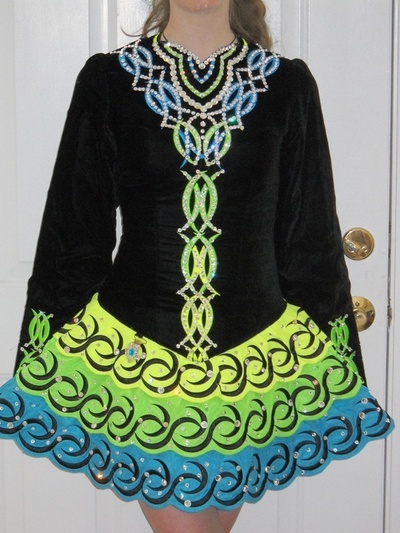 Elegant Gavin Doherty made for 2009 Oireachtas. 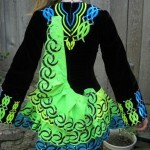 Black velvet bodice with neon yellow, green, and turquoise tiered skirt. 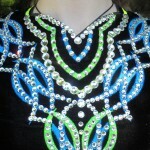 Heavily embellished with Swarovski crystals. Really stands out on stage. Smoke-free environment. Let-down room available. Returns negotiable within reasonable time. 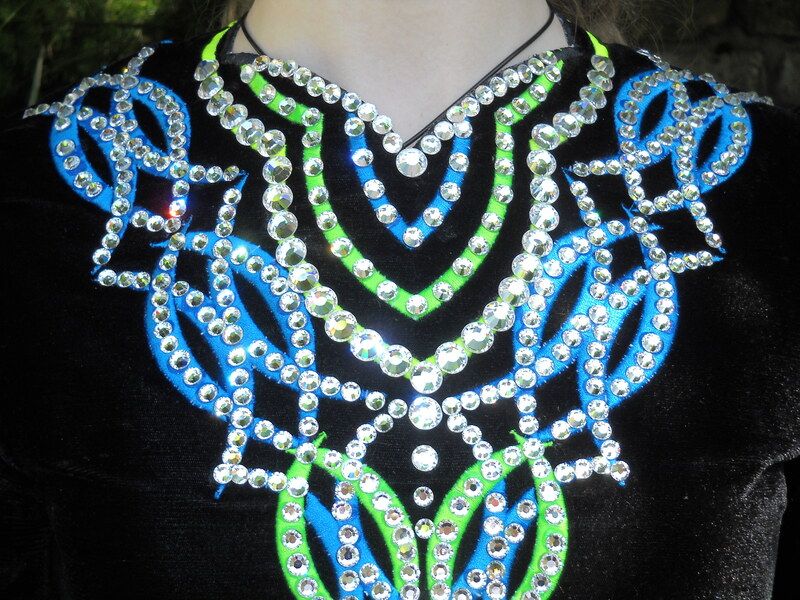 Asking Price: $US1150. Shipping costs not included. Returns are negotiable.